It’s time to reflect on the elite of fantasy signal-callers to find out the TRUTH behind their end of year stat lines and fantasy finishes. Patrick Mahomes was the clear eye-opener but which other top-5 guys actually helped your fantasy team out and were consistent? Check out previous TRUTH episodes including RBs and WRs. Get the full QB breakdown from Andy, Mike, and Jason on the podcast: Part 1 / Part 2. Player finish, fantasy points, and consistency percentages are based on a minimum 6 games started and based on 4 points per passing TD leagues. Game splits based on 6 points per passing TD leagues. There are too many exclamation points to give on fantasy’s #1 QB, #1 consistent QB, and the likely league MVP. He tied Peyton Manning‘s magical 2013 season with 14 QB1 weeks for the most in history. The question is how Mahomes’ earth0shattering performance translates to next year. What he did this year was worth an early round pick. However, going into 2019, where should he be drafted? Since 2004 there hasn’t been a repeat QB1 and his TD % of 8.6 is almost impossible to repeat. After a putrid Week 1 performance against the Eagles, Matt Ryan was incredible. From Weeks 2-10, he averaged the same amount of fantasy points as Patrick Mahomes including 7 QB1 performances. He, in fact, posted the 14th best fantasy QB season of all-time aided by a career-high 3 rushing TDs AND a receiving TD. With another offensive coordinator switch, things could change next year in Atlanta. The running game was putrid and Devonta Freeman was out for most of the year. He is a surefire top-10 selection with a draft price that could creep into the double-digit rounds. Historically Big Ben has been rough on the road but his splits were almost identical. The emergence of Juju Smith-Schuster helped immensely. 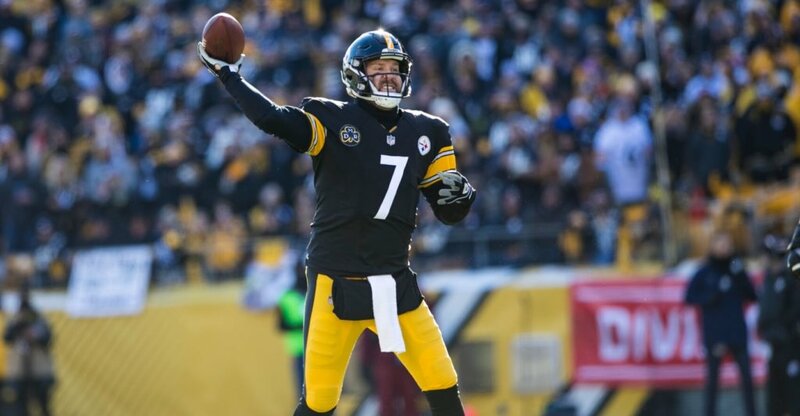 Roethlisberger had 8 top-10 weeks and paced the league with 5,129 passing yards, the most of his career. Moving forward, Antonio Brown‘s status will be worth monitoring on Roethlisberger’s 2019 draft price. Watson was the second QB selected in drafts at the 36th overall pick and yet still you didn’t get the return on your investment. While showcasing a ceiling, he sprinkled in some games that ultimately killed your team. He holds the ball sometimes forever correlating to being sacked 62 times, the most since Jon Kitna in 2006. His baseline with the rushing will be there and he improved his accuracy with the highest completion percentage (68.3%) for a 2nd year QB in NFL History. There will be debates which upper-tier QB would be taken over him in 2019 drafts. His pairing with DeAndre Hopkins ultimately makes him an elite option for the coming years. This was a year where Luck was criticized in the beginning for his supposed “lack” of arm-strength and recovery from injury. He was solid including an NFL-record 8 straight games with 3 or more passing TDs from Weeks 4-12. He finished with the highest QB Rating (98.7) of his career and with a revamped offensive line, he had the lowest sack rate (2.7%) in the league. For the rest of the QBs included the TRUTH episodes, check out Part 2 on Thursday. Would love to see the # of games or percentage of games in the Great Good Bust categories like you did with RBs and WRs. Thanks - LOVE these TRUTH analyses!! !